Workshop on the opportunities of the Spanish large-scale retail trade. 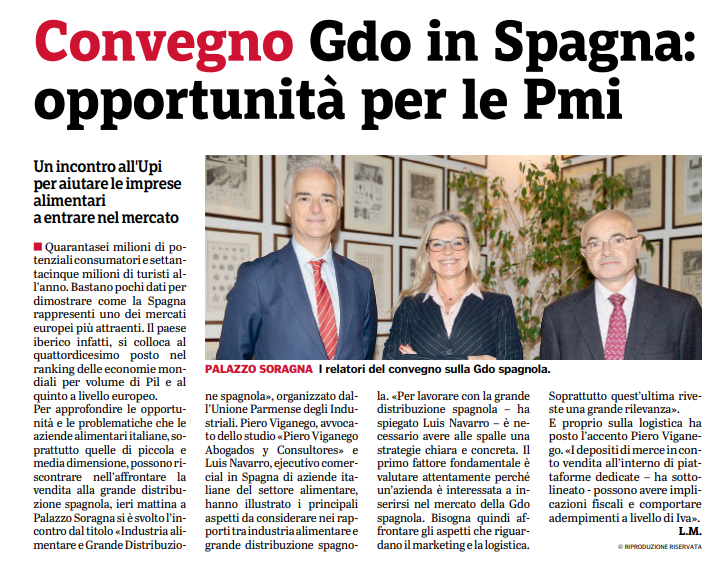 Piero Viganego Law Firm has participated in the Workshop organized by the Unione Parmense degli Industriali on the opportunities offered by the Spanish large-scale retail trade to foreign food companies. The report of the Firm focused on the taxation of the stock and call of stock consignment in Spain and the VAT regime applicable in Spain to cross-docking.